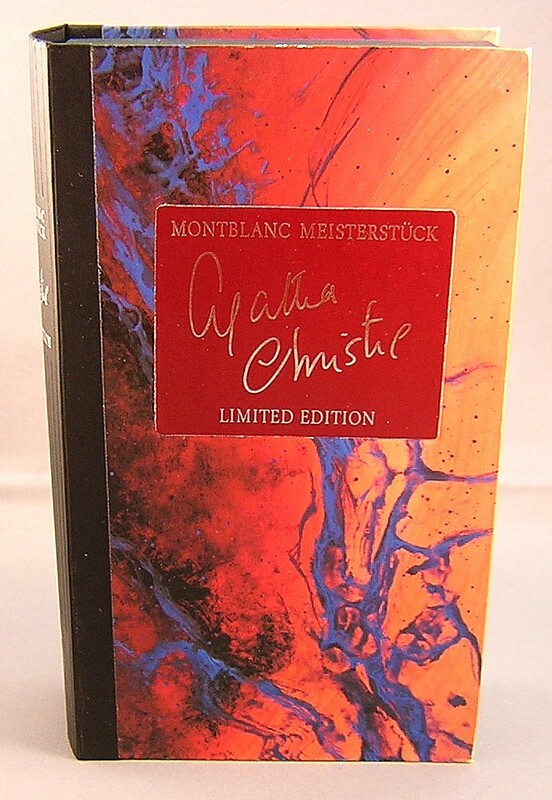 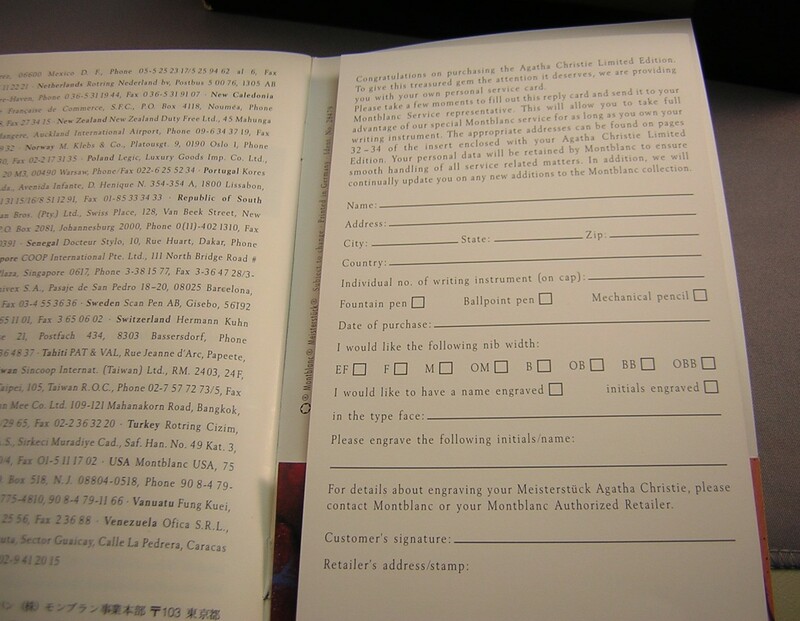 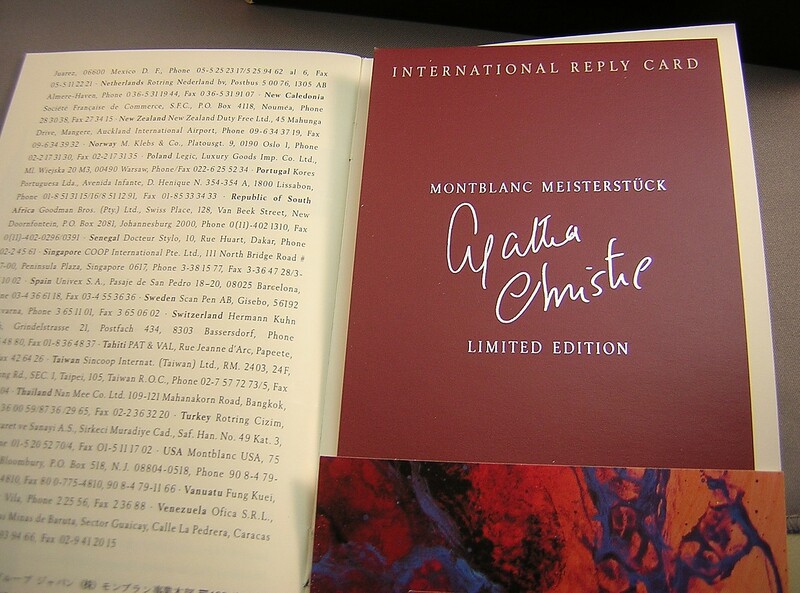 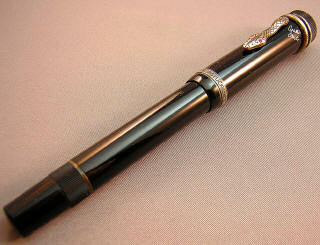 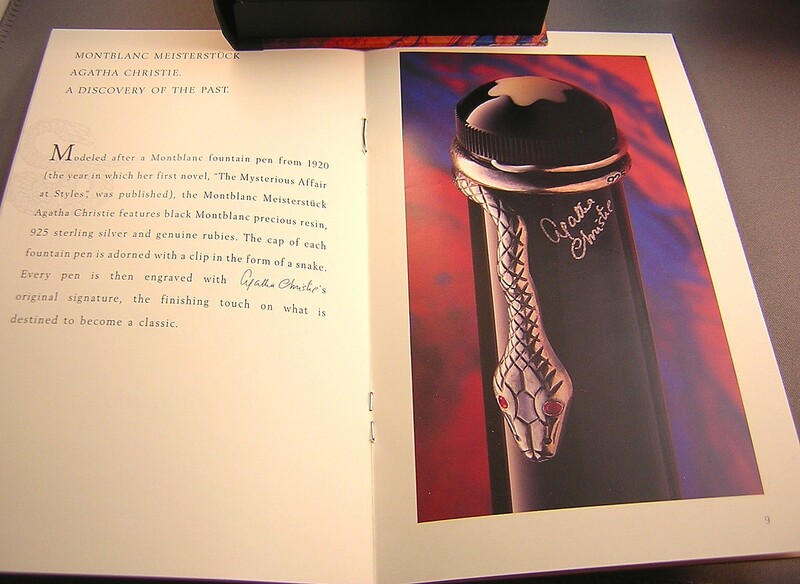 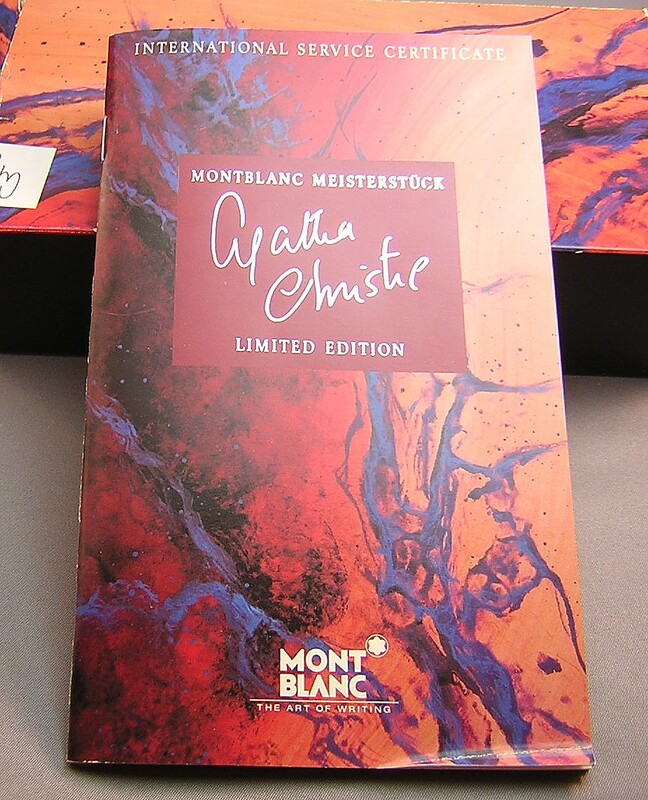 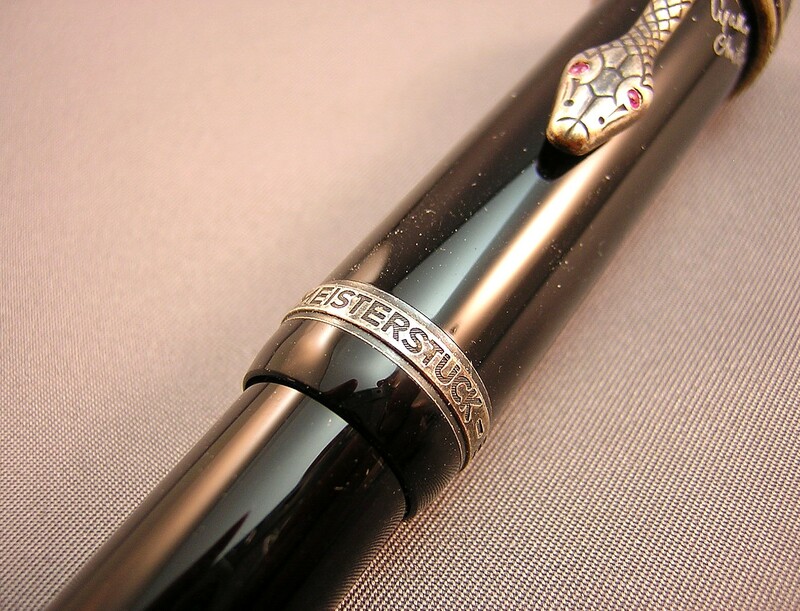 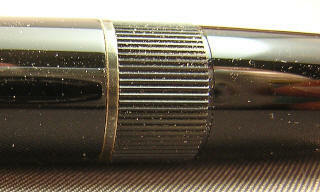 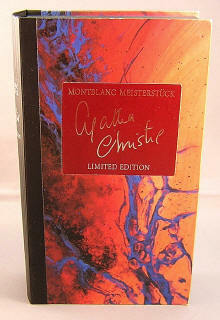 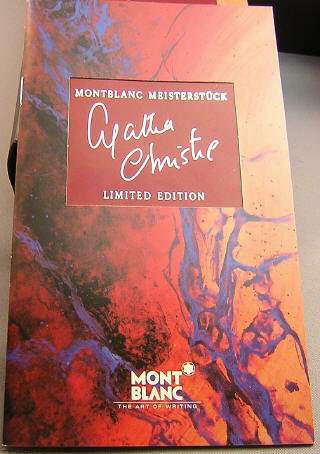 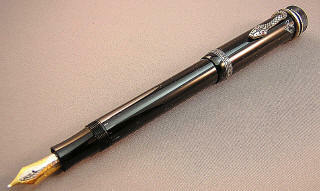 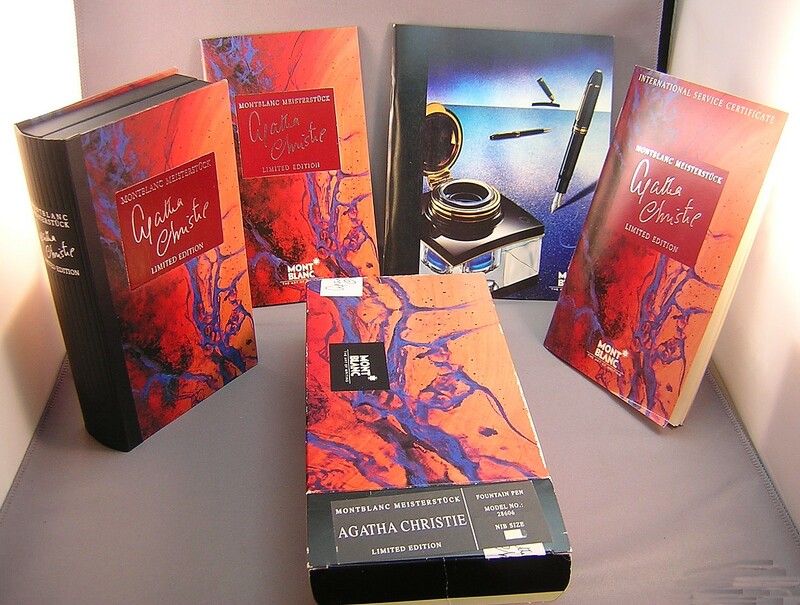 This is a mint-in-box Agatha Christie limited edition fountain pen. 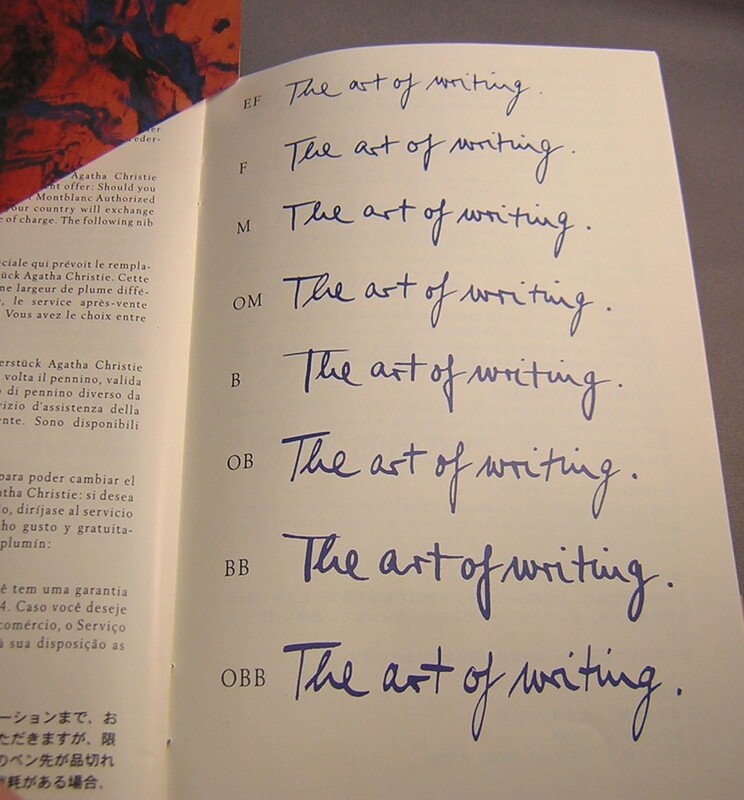 It's #08059 of the original issue of 30,000 pens released in 1993. You can reference the official Montblanc page about the pen here and a nice review of the pen here (although their example is not as nice as this one!) . 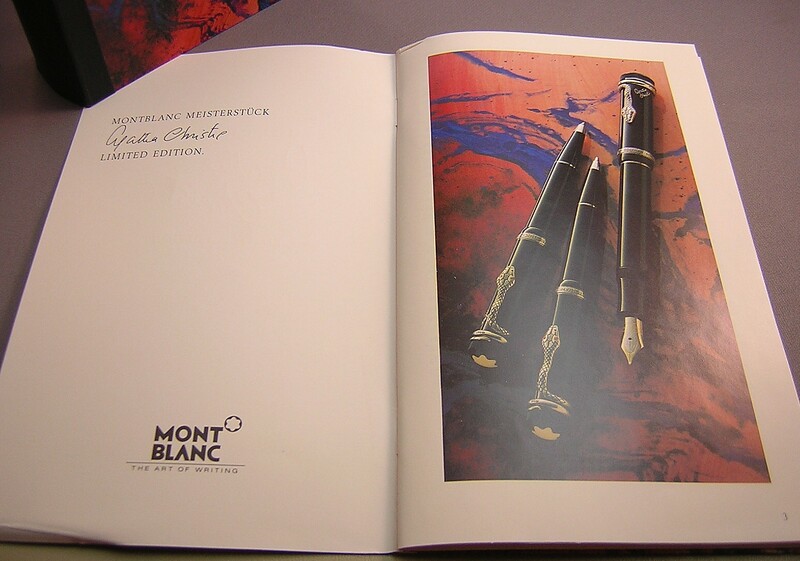 The Christie was the second limited edition of Montblanc's 'Writers Series', and followed the release of the 'Hemingway'. 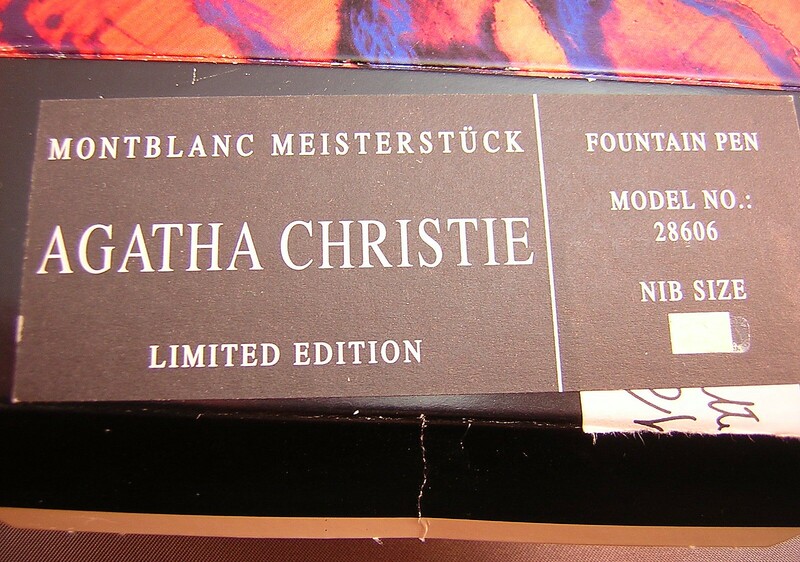 Both have become extremely sought-after models in the ensuing decades. 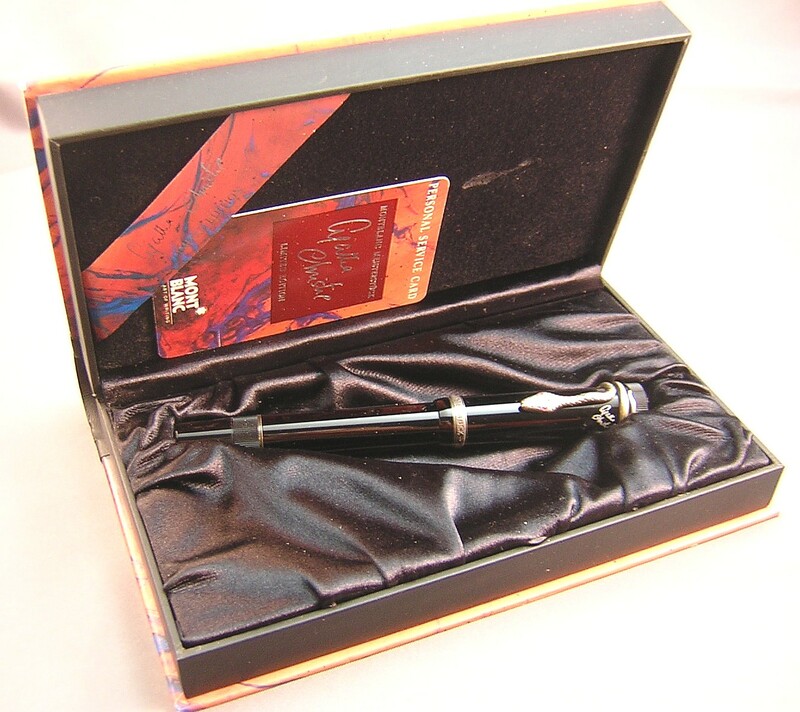 The pen has been sitting unused for lo these past 20 years, stuck in the back of a closet (if you're interested in a bit of history on this particular pen, it's provenance is discussed below) and comes complete with box, original booklets and outer sleeve (please see photos). 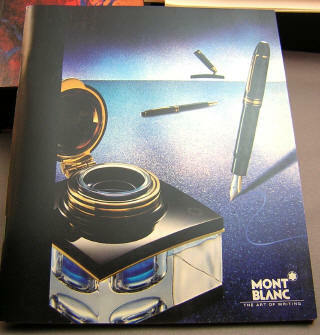 As far as I can tell the pen has never been filled, and the owner has no memory of ever having done so, but I have no real way of knowing if it was ever filled by Montblanc in their own testing. 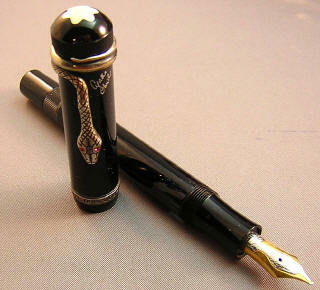 The ink window appears clear. 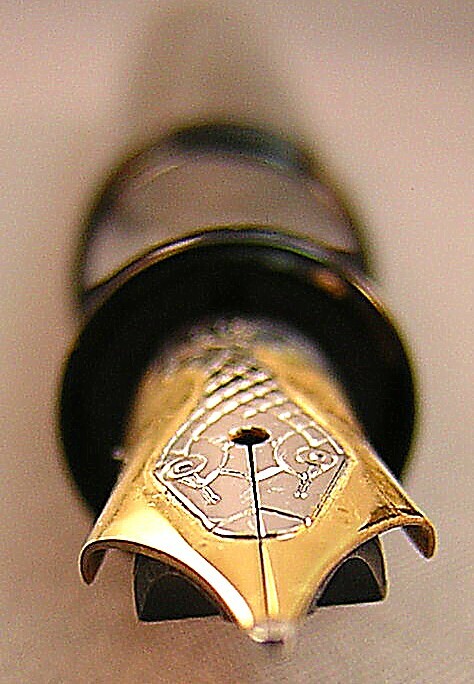 Upon examination, I found that it most likely had been dipped at some point, as there were a couple of spots of dried, blue ink on the nib. 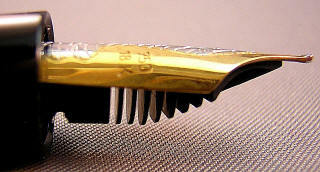 Speaking of the 18K gold nib, there's a bit of a mystery here, as I'm not 100% sure of it's size. 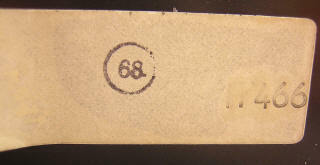 Ordinarily, the nib size would be marked on the box and also have a sticker on the barrel of the pen (the nib size was not stamped on the Christie nib itself). 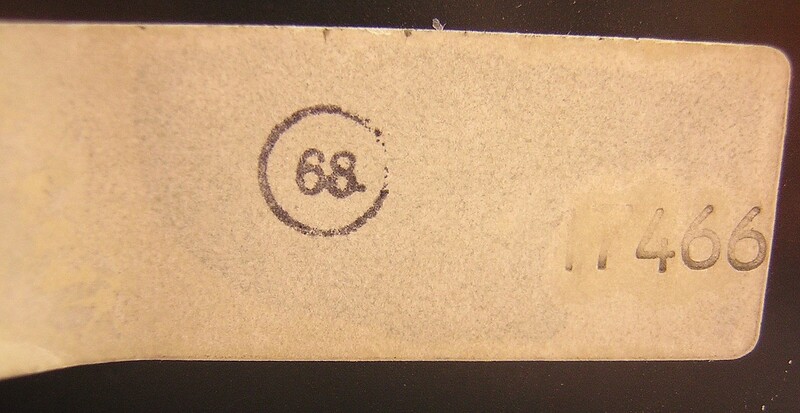 As can be seen in one of the photos below, the area of the box where this would normally be marked -- in a retail situation -- is blank. 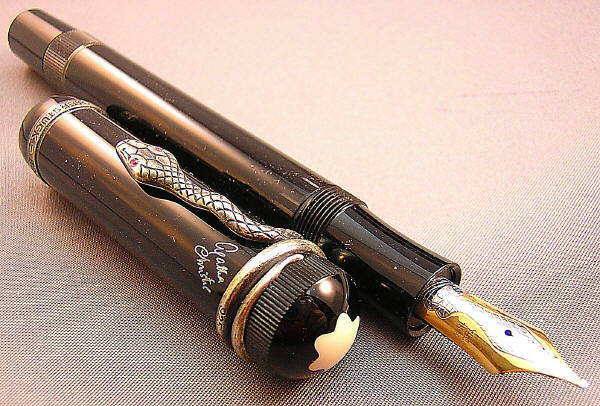 Similarly, the barrel of the pen has no sticker, nor evidence of ever having one. 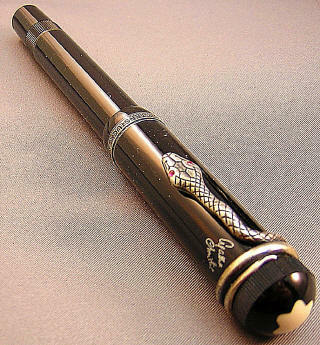 My supposition is that these identifiers were not present due to the fact that this was a pen presented to the owner by Montblanc itself, and never prepared for a retail establishment. 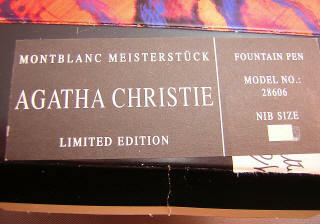 Although I've not had a Christie in hand before, my examination of the nib places it in the F to M range, and I'm 95% certain that it's an M. This is based on my extensive experience of nibs over the past 16 years from countless manufacturers, comparison with several Montblanc models in my personal collection, as well as reference to the included writing/nib guide within one of the included booklets. 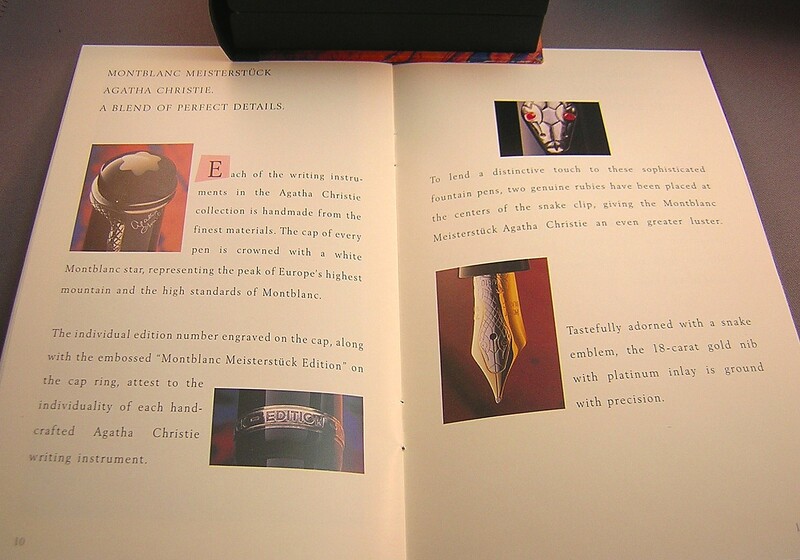 This would be likely, as the vast majority -- if not all -- of the Christies were initially fitted with medium nibs. 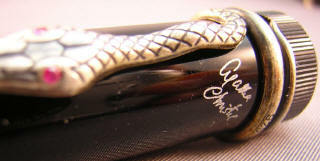 However, without the usual box/barrel markings, and without other Christie nibs to compare it to, there's a small chance that the nib is an F.
The silver of the cap band and the snake clip have developed a lovely patina over the years, and the snake's ruby eyes stare at me brightly as I type these words. 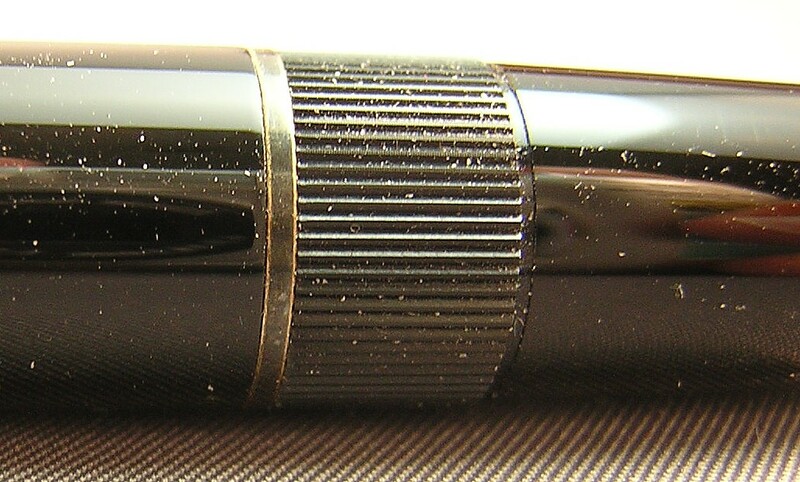 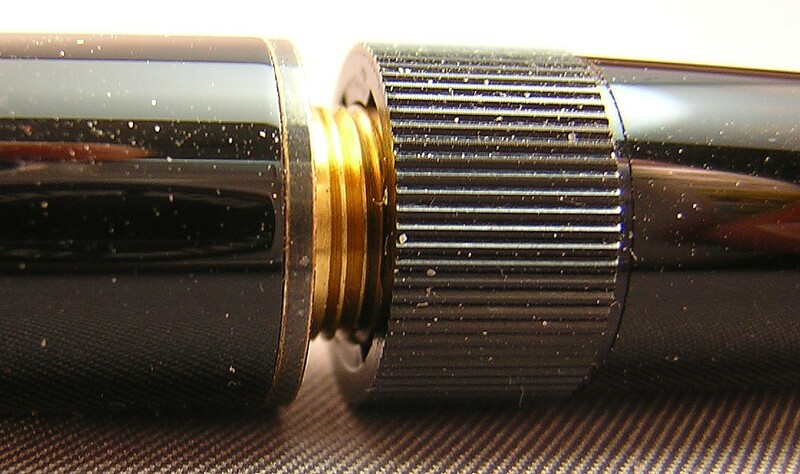 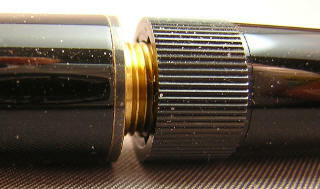 The piston operates smoothly when the knob is turned. This particular pen has a bit of a backstory (appropriate, considering who it belongs to!). A couple of years ago, I attended my one-and-only book signing. 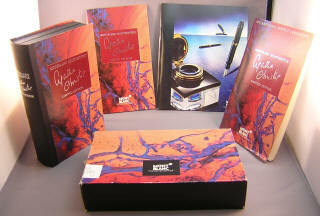 It was with one of my favorite mystery writers -- whose books I've been reading for more than 30 years -- Lawrence Block. If you're not familiar with Mr. Block, he's a Grandmaster of the Mystery Writers of America, has won multiple Edgar and Shamus Awards and countless international prizes over his illustrious career. 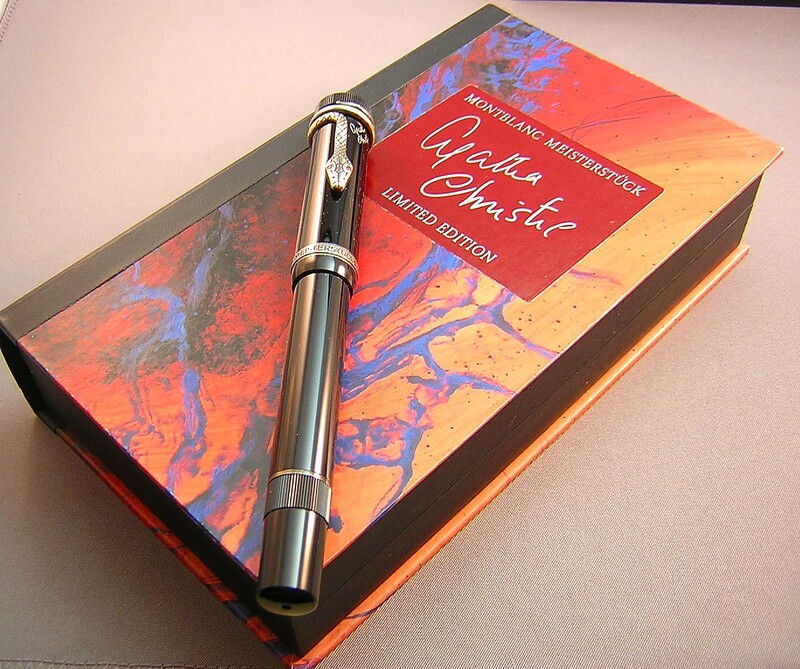 A number of his books have been made into films, and in fact one of his novels starring his character Matthew Scudder, 'A Walk among the Tombstones' is currently filming in New York City -- to be released next year -- and stars Liam Neeson as Scudder. After the signing/reading, I stuck around a bit to introduce myself and to present Mr. Block with a pen to use during future book signings. 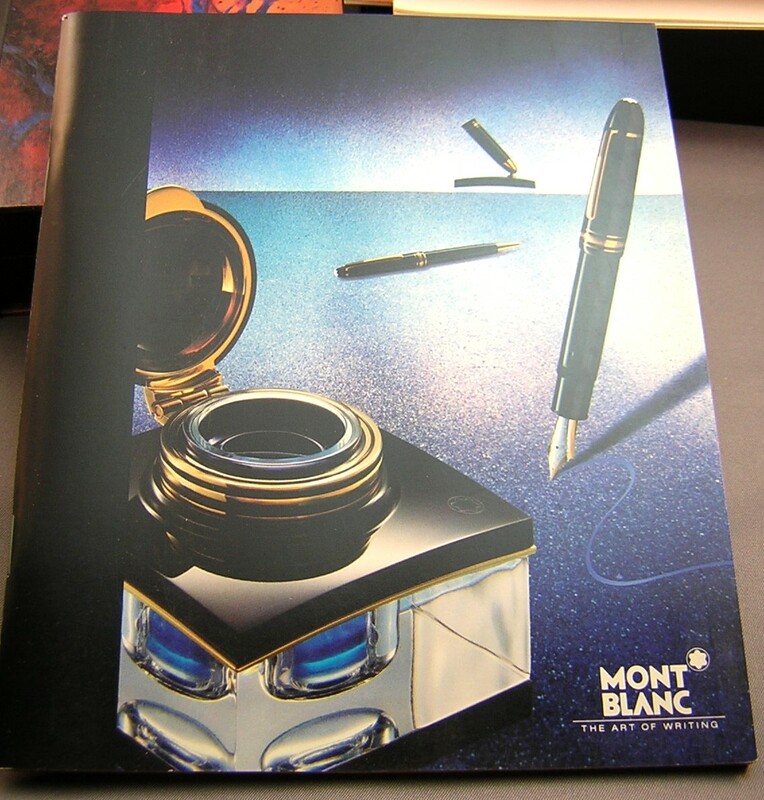 We've subsequently exchanged a number of emails on various topics and he recently told me about a fountain pen that was presented to him 20 years ago by Montblanc, upon it's launch as part of the Writer's series -- and which had been sitting unused inside his closet ever since! It turns out that Mr. Block is a keyboard man. 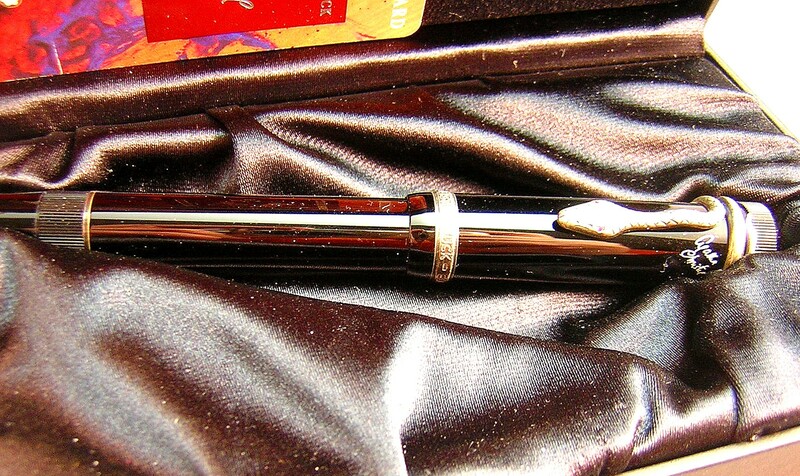 He's asked me to place the pen for sale, and now here it is!